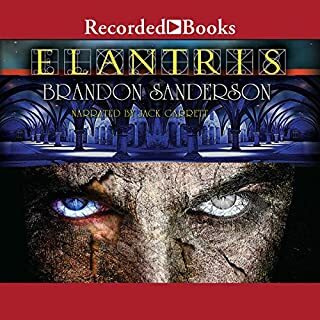 I wouldn't say just that both Brandon Sanderson and Michael Kramer keep their already very high expectations, which for me are already high as it gets, they continue to suprise me a couple times that they can go even farther. So, you liked the Mistborn series?!! Who didn't? Prepare for more action, more twists and suprises ! Yeah, those are plenty here. Won't spoil any though. I can give just some hints on what you're going to see/hear here: legend coming to life, history lessons (from previous series) being completed with a whole new chapter, some nice pieces of modern technology implemented in unique Mistborn style and both a very satisfying, emotional and at the same time intriguing ending to both series (yeah, you always want more, as usual). 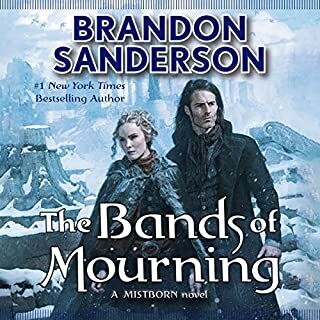 If you want more of the series (continue to be thirsty for more), I recommend to listen after this to "Mistborn: Secret History" (either separate, either from Arcanum Unbounded: The Cosmere Collection). I just like that such authors and series exist and the Fantasy is not dead. Not until they are alive and their art. Fun book with nice insights and, as expected, plenty of humor moments, memes, rage shouts. Like a comedian, or angry comedian. Just kidding... 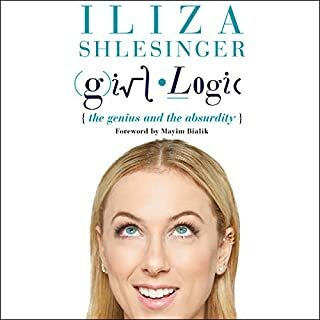 Anyway, this is partially an autobiography, partially an introspective into girl's view (alias "logic" in this book), partially life advices or quotes. Pretty nice quotes, have written down many of them. The book is like a visit to a psychiatrist and friend at the same time. P.S. 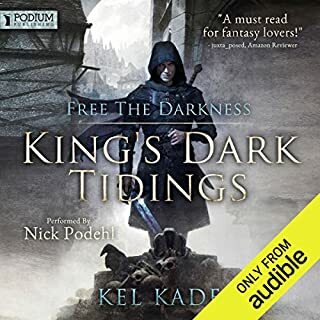 She could start audible narrator carrier as well, sometimes her own voices are character like and she has a very good diction and narrator skills, but I would advice only humor books, especially rewriting of popular tales, which are quite a lot of books out there of this kind. There was a pleasant surprise of additional elements of the fantasy genre, besides battles, warriors and mages (magic), but I won't spoil it for you. You'll have to find it out on your own. What I can say is that the story got richer with even more elements and layers. I enjoyed every minute of (listening to) it! Another thing is that it seems we have an indirect confirmation that the series could continue on with more books. I am not the author, so I can't say. I can just guess that at least 2-3 more could follow as logical development, more even with twists and (unexpected) turns. I may think to revise my best author and series and this becoming my first top favorite. 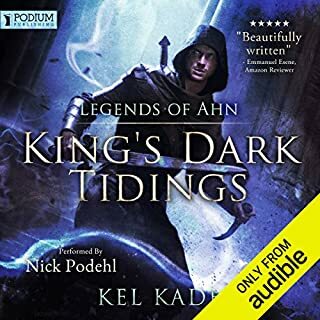 In the end, I can just wish you to enjoy the book and narrator - he's still at the impeccable and excellent level as before, adding even new voice (types) to the ones you are used to in this series. Just make sure to plan as much listening time as possible, as this could keep you awake late through the night as it did me. 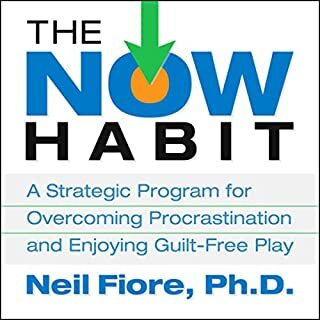 The book is the type you want to read / listen in a single "breath" or session. The material is presented in a very accessible way. A great focus is on motivation and this is rather an emotional presentation with a big focus on mindset, character, discipline. There are lots of useful tips and even proofs of a success resulting of your actions in the right direction. 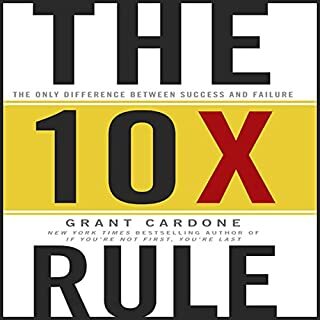 But I can summarize the book by: take massive action, if you like very practical or reasonable advices, this book is not for you, rather read my summary here above, reiterated, "Take massive action, no matter what and you can overcome any obstacle, difficulty". This is book is very strong for depressed, dissapointed, unmotivated people though, if they want to take the step to change their lives. Also any person that has a stronger emotional learning/view than rational one as I said also before. In general I liked this book, but I tend to believe more in reasonable thinking and actioning, so some parts of this book's advices and lessons, I think, are not applicable to me.. Also as a small spoiler, one of the rules later in the book is: "Be unreasonable". Of course, a detailed explanation and proof follows and it seems it explains a lot the big rich people of the world how they get there. So don't believe that this book doesn't relate something true, just not for majority of people I think. Only a few will truly understand and accept it and accept the way of life this book professes. So mostly the advices here is NOT for a normal and ordinary life, but for 10x life ! This book as many others touch so many things, like suffering, sacrifice, leadership, determination, religion and others. If you like fantasy, an intense story and any of the subjects then you'll really enjoy this book!!! Motivational determination, psychology changing, hitting at the core of the problem: that's what you get listening at the book and more, this answers many questions about some usual behaviors and reactions of people, helps you and others around you not just get rid of procrastination, but also be a successful person, a producer - one that you are meant to be in life (and potentially find the equilibrium and purpose in life) :-) !!! The only thing needed from you is to accept the book's message openly and without resistance. Welcome to your new, reformed, wonderful and free life, after you've listened and applied what is written (told) in this book. 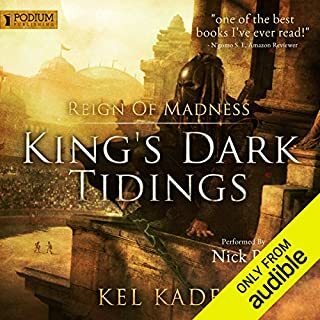 It has twists and turns, adventure, fun and comic moments - these are in abundance, what's funny, is that even intense and drama moments - the author (and narator) wraps in a fun cover, which is pleasant to read/listen. Not a boring moment - not a single one. I would say not all development is perfect, but all the fun, action, adventure makes up for lack of some potential inconsistences 10 times (or 100 times, who knows), as is the main theme of the book - who knows how it would really happen if we got such a story really happening. 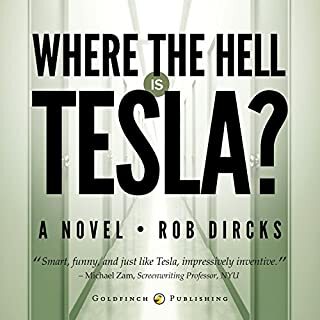 So I'm not going to argue that I know better - so you better buy this novel and give some tribute to Tesla and the author. Almost perfect. Everyone can find what he likes..
Everyone can find what he likes in this book: nobles, adventure, mages, assassins, epic fights. All the nice, high things that define fantasy and the core in many books, honor in actions. Even it contains a philosophical red line about killing with conscience, deserving the death for some individual and the lack of glory in any killing. So besides everything else, it touches profound tones and themes, many dark ones. This is full adult story, although with some review, it can be told to/listened by teens with proper care/filtering. Enjoy the book in its entirety, whoever you are, as even those who are not fantasy lovers can start to like the genre with this book series. The experience is just unstoppable: you cannot stop until you finish the books. Almost perfect! !<br />Everyone can find what he likes..
P. S.: can't wait for the third book!!! 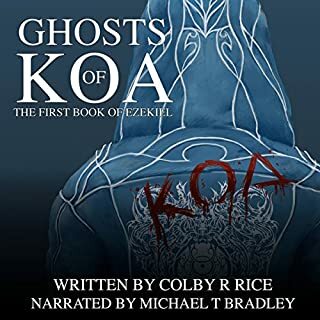 It's building up slow, but soon enough you start to engage into personages' lives, especially, Zeika, Monjo, Caleb, and, I even found some sympathy and understanding for Ezekiel, the killer. The perspective is good, by taking major personages perspective and narrating from their point of view. They start to feel real and the characters didn't have exaggerate traits (as in some other stories) and their actions feel so human and understandable. Only some small twists at end felt overdone, were not clear and seemed a bit artificial. But it also may very well be a good starting point for a greater and longer story. The author tapped the potential of a great and long series, and although the world seemed confusing and unclear in the beginning, over time I could feel the great potential and draw the grand picture, all pieces falling together and the world started feeling so real, so alive and so dark at the same time. If you like stories that are long-dragging, slowly building up, but with giant worlds, with several story lines and keeping up with many details, while building the whole thing together and if you're fan of apocalyptic world or urban fantasy stories than this story is definitely for you !!! I liked it a lot and now I'm waiting and wanting for more, for developing of all this and the culmination in the following books. Side note: no need to buy the two separate books (volumes). This one is fine.